I put much of the success of my own book down to actively pursuing impartial book reviews right from the start. Book reviews are, in my opinion, one of the most important tools for book promotion. Books with a lot of reviews tend to get more attention, carry more weight, and therefore sell better. Once your book is selling well, the reviews should come, but as a new author, it’s up to you to go out and find reviewers (and I don’t mean friends and family as this is frowned upon in the Amazon community as well as being unethical). Finding reviewers, like all promotion, involves a bit of hard work, and also costs some money (the cost of the book and the shipping), but the effort is well worth it. Before you start, of course, you need to have created the best book you can. My advice is to stay away from paid book reviews unless you wish to pay for a review from a reputable website such as ForeWord, Kirkus or Publishers Weekly who offer paid reviews for indie authors. Otherwise, there are literally thousands of book bloggers, as well as Amazon and Goodreads reviewers who will offer an unbiased and honest review in exchange for your book. Choose your reviewers carefully and make a list. Then create a review request email and send it to each reviewer individually by name. Your email should include where you found their details, and some basic information about your book with a link to your Amazon book page. You can end by letting them know that if they decide to review your book, you would be happy to send it to them in whichever format they would prefer (paperback or ebook) and request the relevant address. Don’t forget to thank them for their consideration. Reviewers receive hundreds of requests and one book takes about 20 hours of their time to read and review. Keep a list of the names that you have contacted so that you don’t send a second request. Read this helpful blog post on how to pitch your book to bloggers. 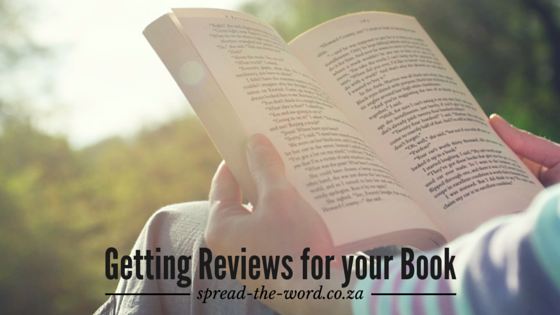 Here’s some helpful tips and resources for getting your book reviewed. I first went through Amazon’s Top 100 Reviewers list and searched for those who love to read memoir (my genre) and list an email address. I then searched some of the top selling affliction memoirs and went through the reviews looking for top Amazon reviewers. I sent out thirteen targeted requests and received five responses, four requesting the book, one was too busy. After much research and reading many profiles of Amazon reviewers, I finally came up with another way to find reviewers who were interested in my genre. I searched Listmania for ‘memoir’. Reviewers often put their favorite reads on Listmania and this made it much easier to find reviewers by genre. I also found that the reviewers who were not listed in the top few hundred, were more likely to accept, as they are not as swamped with requests. When contacting an Amazon book reviewer, be courteous and make sure that they have a particular interest in your genre. If you’ve read the Amazon forums, you’ll know that you don’t want to upset anyone! There are many groups on Goodreads where readers and other authors are offering to review books by genre. All you need to do is visit your favorite groups and search the folders. Here are some good places to start. Book blogs are one of the best places to find reviewers. ALWAYS read the blog author’s review policies and submission guidelines to see if they are currently accepting books for review, and that they actually enjoy reading your genre. If you have self-published, be sure to check if they are willing to review indie books. Check that the blog is current. It’s also a good idea to see if they post reviews on Amazon and other book sites as well as on their blog. After a blogger accepts and agrees to review your book, you could offer a giveaway for the blog. Some blogs also agree to do author interviews. There are literally thousands of book blogs. Optimally, it is best to look for blogs with a large readership, but again, these bloggers are often flooded with requests. Here is a list of a few book bloggers and their preferred genres. Most accept self-published books. FSB Media has a good Book Blogger Directory Search where you can search for more book bloggers by genre. All the best with getting reviews for your book! A very helpful post. I will share with other writers. Terrific post. I’m bookmarking this page for when my novel is ready to go. Thanks! Wow, what a great resource of indie book bloggers. Thank you for this list! This is the perfect advice for what I needed to start prepping for a second release. I wondered how to find the right Amazon reviewers and this is a terrific place to start. Thanks for this! Thanks for sharing these book review resources. A big help for those of us who have books coming out soon. Thank you for this very valuable resource,Leila. I appreciate all your links and will be sharing your post! Thanks so much for compiling this. A great resource … and of course the result of a lot of hard work. BUT, I can see from your Amazon numbers that you’ve gotten results–which is great. 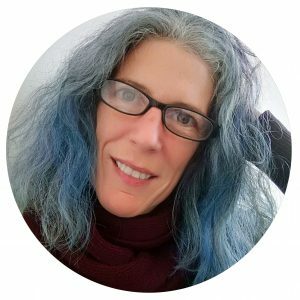 Especially a fellow memoirist–figuring out where to put my “book marketing” energies is so important. Very generous of you to post this for us Leila. Thank you! Wow, this is VERY helpful, Leila. So kind and thoughtful of you to share all the work you’ve done. Thank you, thank you, THANK YOU!! Pleasure Mahita! Hope it helps you. This looks like a really great resource. Too bad I am just discovering it now when I am swamped with last minute– promotion — work to do on my book, which comes out next month. btw, I have been surprised by how amenable my local bookstores have been to having launch parties, book signings, etc. I’m expected to provide the wine and cheese — and to invite people to come, enough to get some customers into the store. But a really nice, neighborhoody feeling to the project. I like doing something for my favorite bookstores. Thank you so much for this. Wish I’d seen this brilliant post months ago! It’s never too late Joan! Thank you for the great article. It’s definitely given me some ideas. I’ve been having limited success so far getting reviews for my book and have contacted hundreds of bloggers. I think Goodreads readers are more likely to respond, at least in my experience thus far. Goodreads is always a great place to find reviewers! Perhaps the book bloggers are too swamped with requests. I have come across book bloggers on Goodreads that offer their review services too. All the best with your book promotion. Thank you so much for taking the time to post this! I have been looking everywhere for information like this.